Being Frugal and Making It Work: One of My Favorite Christmas Traditions! 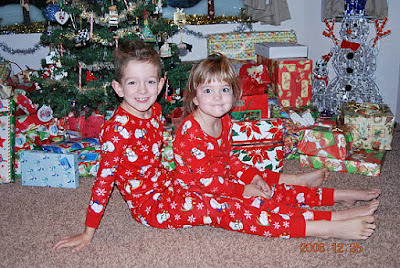 Every year since my children were born, I buy them NEW festive holiday jammies to wear on Christmas Eve. It's a holiday tradition that I look forward to every year! They don't get to see them or wear them before Christmas Eve. 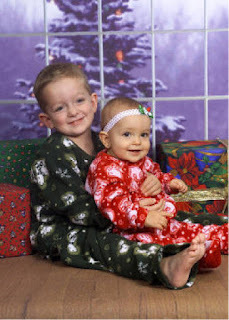 Not only do they LOVE getting their new jammies but it's perfect for Christmas morning photos. Christmas 2004, this was our daughter's first Christmas. What holiday tradition do you enjoy most? Oh my goodness... they are ADORABLE!